VCU Pewter Paperweight by M.LaHart & Co.
Every college sports fan enjoys an NCAA and College Shop gift. 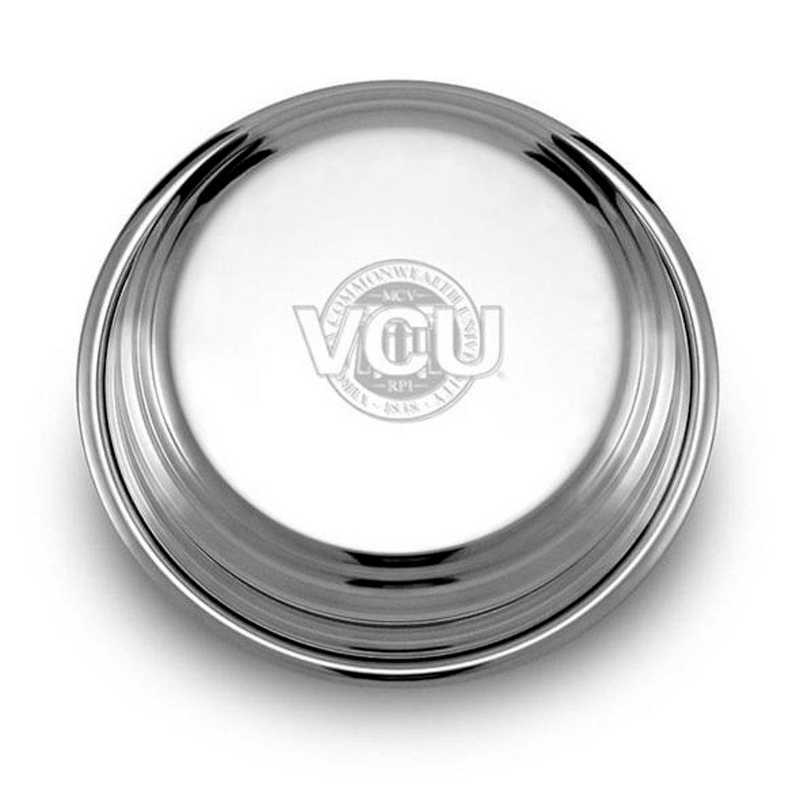 Virginia Commonwealth University pewter paperweight is the perfect accent to any desk. 3.5” diameter. Crafted from solid pewter with high-polish finish. Presented in our attractive gift box. Combine with another desk accessory for a unique gift set.. Officially licensed by Virginia Commonwealth University. Manufactured direct from a trusted supplier. You're reviewing:VCU Pewter Paperweight by M.LaHart & Co.